Jan. 7, 2016, 1:03 p.m. The Scandinavian media giant surveyed thousands of its users to figure out characteristics of effective mobile ads. One finding: Static images were more effective than rich media or video ads. By Shan Wang @shansquared Jan. 7, 2016, 1:03 p.m. Imagine opening up an app, scrolling through an article, being interrupted by a full-size Clash of Clans video, trying to tap a microscopic “×” to close out of the video, and accidentally tapping into the app store. For regular smartphone phone users, this scenario’s all too common. More user-friendly mobile ads haven’t caught up to the vast potential for monetizing growing audiences on mobile. But what can news readers stomach when it comes to a big disruption on a relatively small screen? Moreover, what do they prefer, and how much should agencies spend on well-made mobile ads? Aftonbladet mobile users saw over the course of a week from ten major advertisers, from Mercedes to Burger King, in three formats: a static image, interactive rich media, and video, for a total of 30 different possible campaigns, each eventually seen approximately 400,000 times. 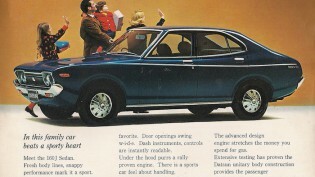 Users then received surveys based on the variety of ad campaigns they ultimately saw. The work here was carried out in partnership with Lund University in Sweden with graduate students Gustav Sundberg and Anton Olivensjö. The study revealed that the most effective of these formats was the static image. Static banner ads had the greatest effect on a reader’s preference for a brand and intent to purchase the item advertised — and those are among the categories that matter most to advertisers who, at the end of the day, want to sell something. Readers rarely engaged with rich media or the videos, which are fairly disruptive, and only 0.3 percent ever played the video ad to begin with (“Video is good at building awareness, but this is a very, very, very low number if you want people to actually get your message,” said Engstrom). Rich media ads were a turnoff: The survey revealed a negative correlation to effectiveness of the campaign after just two exposures to the ad. Static image campaigns won out again here, their effectiveness increasing pretty significantly with exposure. Engström hopes the Schibsted mobile study results will help move his industry away from clickthrough rate — the ratio of people who actually click on an ad, out of all the people who see it — as proof of an ad’s success or failure. Among those surveyed, CTR was negatively correlated with an ad’s effectiveness. Consider the possibilities for a publisher that decreases reliance on clicks as a measure of success and decreases the number of ad campaigns built only to capture clicks (or taps, whether intentional or stray). Schibsted is not alone here. Facebook, too, for instance, has been building up a new measure for marketers that it’s calling “conversion lift,” finding click-counting insufficient in a world where people access sites from multiple devices. The Financial Times has rolled out a new measure called “cost per hour,” which takes the amount of time that an ad has been seen into account. Advertisers and the agencies that help create the ads are listening to Schibsted’s findings, said Engström, whose team works across all the company’s brands. For mobile, he recommends specifically short, six to eight-second videos — never 30-second videos, which resemble television spots. Vertical video, though, is a relatively uncharted and potentially dangerous territory, as takeover ads are the most intrusive format for readers. Engström hopes his team’s work might help Schibsted bypass the mobile adblocking apocalypse altogether — an apocalypse that hasn’t yet arrived, but looms on everyone’s minds. 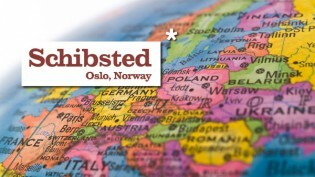 “Good” very often means “relevant.” And as a publisher, Schibsted is “very much in the blind” about useful user demographics like age and income level for its sites without a required login, Engström said, though the company plans to work on a system, sometime in the coming year, to better keep information on its audience by building on data collected from users of the company’s financial services sites, which request more personal information and require a login. The company also continues to fine-tune its geotargeting capabilities. Schibsted is also working on a “brand builder” system that makes sure readers aren’t repeatedly shown the same ad. 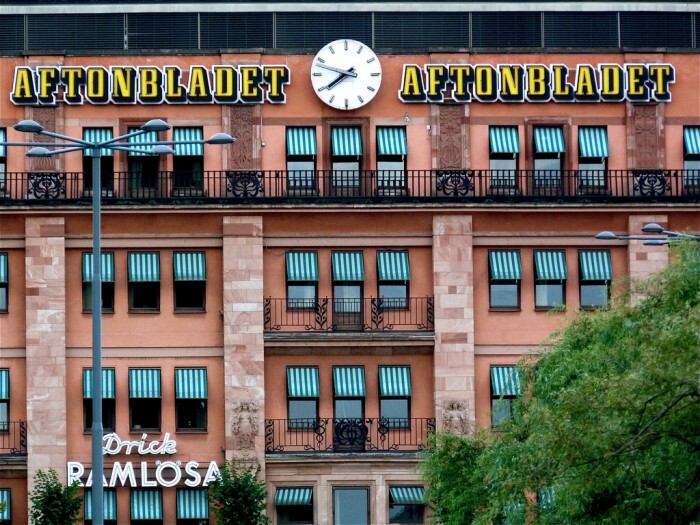 Photo of advertisement clock of the Swedish newspaper Aftonbladet on the building of the Ministry of the Environment in Stockholm by Arjan Richter used under a Creative Commons license. POSTED Jan. 7, 2016, 1:03 p.m.
Wang, Shan. "Schibsted wants to circumvent the mobile adblocking apocalypse by making better, more effective ads." Nieman Journalism Lab. Nieman Foundation for Journalism at Harvard, 7 Jan. 2016. Web. 19 Apr. 2019. Wang, Shan. "Schibsted wants to circumvent the mobile adblocking apocalypse by making better, more effective ads." Nieman Journalism Lab. Last modified January 7, 2016. 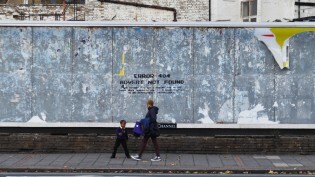 Accessed April 19, 2019. https://www.niemanlab.org/2016/01/schibsted-wants-to-circumvent-the-mobile-adblocking-apocalypse-by-making-better-more-effective-ads/.